At All Eyes Vision Care, we believe in the best patient experience possible. 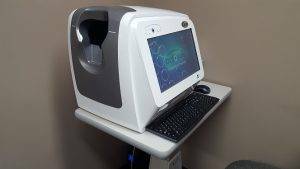 That’s why we invest in the latest, cutting-edge technology that allows us to provide the people of Clarksville TN with eye exams that are detailed and careful, and also stress and pain free. We strive to provide the widest variety of diagnostic and treatment tools available on the market today so we can keep our patients seeing as well as possible, for as long as possible, and as comfortably as possible. Read on below to peruse the wide range of eye care tools and treatments options we provide. This state of the exam phoropter means our patients have a much more pleasant and stress-free eye exam. This is because of the digital machine learning technology, which allows the device to gauge how well your eyes are seeing with exceptional accuracy. Eye exams used to be a pain. You couldn’t blink as you sat perfectly still, trying to choose between two nearly identical views through an old fashioned phoropter. ― All that’s now a thing of the past. With our eye exam technology, you no longer have to choose between 1 and 2 ― the machine does that for you automatically and blinking is never a problem. What’s more, this device also detects if you have night vision issues automatically, ensuring that you get exactly the vision correction you need. Tear osmolarity has been shown to have the best predictive value for diagnosing Dry Eye Disease of any single test. 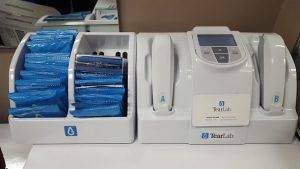 TearLab's sophisticated lab on a chip technology tests a tiny tear sample to measure Osmolarity, or the salt content in the tears. 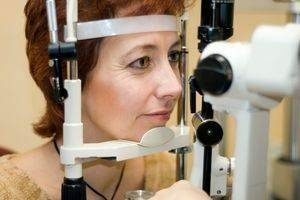 Our Clarksville eye doctor will test both eyes, and will take the highest number of the two tests, to generate Your Osmolarity Number. Your Osmolarity Number gives doctors a meaningful measure of the health and stability of the protective tear film that covers the surface of your eyes. The number generated correlates with the severity of the disease. BlephEx is a painless in-practice procedure performed by Dr. Ely. 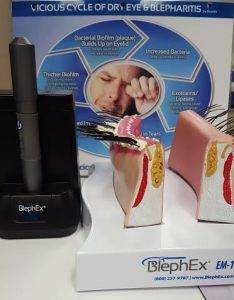 A revolutionary new patented BlephEx hand piece is used to very precisely spin a medical grade micro-sponge along the edge of your eyelids and lashes, removing scurf and debris and exfoliating your eyelids. The patented micro-sponge is disposable and a clean one is used for each individual eyelid so bacteria are not spread between the lids. The eyes are rinsed well afterwards. 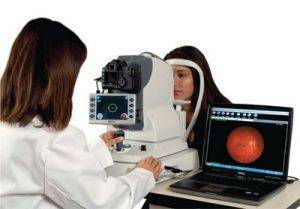 A fundus, or retinal camera, is a specialized microscope with an attached camera designed to photograph the central retina, optic disc and macula. The resulting photograph is a high resolution magnified image which can help to assess for eye conditions including glaucoma, diabetic retinopathy, macular degeneration, optic nerve disease, and many others. This picture also gives us a baseline to compare the state of your eye health in the future. The slit-lamp exam allows the doctor to see areas at the front of the eye. These areas include your eyelids, conjunctiva, iris, lens, sclera and your cornea. Other areas visible with the slit-lamp test are the retina and optic nerve. This exam allows the doctor to examine the eye for abnormalities or problems. A slit lamp provides a three dimensional view of the anatomical parts of the eye and magnification of these different structures through the use of a beam of light during an optometric exam. 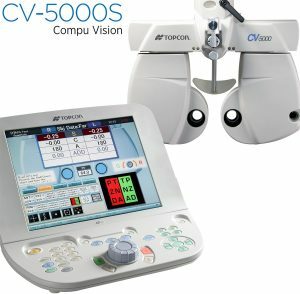 Clarksville optometrists use slit lamps to identify disorders, infection or any other complications offering a more interactive approach to documenting an eye exam. iScan OCT offers all of the scans available on a traditional OCT with the added benefit of simplified operation. Scan acquisition is as easy as positioning the patient, choosing the scan and pushing start. iScan performs all of the focus and alignment operations while talking the patient through the entire exam. One of the key benefits of iScan is that it provides early detection of problems, both visual and general health related. Early detection allows patients to take action, whether that is medication, surgery or lifestyle changes, often allowing a problem to be rectified before it develops or worsens. Learn about the emergency eye care services we offer.